Winter can be a tough time on finances and health for some families. 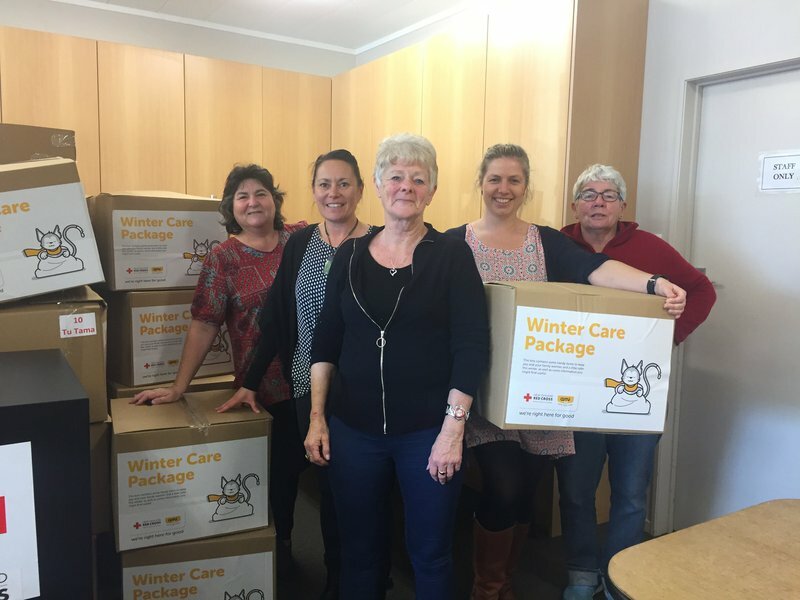 To help get through these chillier months, Red Cross teams across Aotearoa have been helping to give hundreds of winter packages to households in need. The Winter Care Packages included items like blankets, warm clothing, hot water bottles, some tasty treats, draught stoppers and a window seal. This year Red Cross teams across Canterbury also distributed winter packs. Thanks to funding provided by the Timaru and Waimate Red Cross branches, 63 bedding packs were provided to homes in the region. As part of Environment Canterbury’s (ECan) work to bring homes up to standard, agencies from across the region formed the Cosy Homes Hub. Carol Ball, Red Cross' Humanitarian Development Manager, immediately recognised that there was a need Red Cross could meet. She approached the Timaru and Waimate branches to ask if they would get involved. The packs were distributed by local social service agencies who identified homes which might need extra support over winter. Going mostly to children, the bedding packs will help ensure that kids are kept warm over the chilly months. Meanwhile, the recovery team in North Canterbury and Marlborough have just completed their own recovery bedding packs programme. Distribution of these packs, which were similarly coordinated with referrals from social service agencies, was completed early this month. All recipients of the packages across the country were referred to Red Cross through local social service agencies.